To mark the occassion, SAB has compiled a list of beer festivals to give lovers of all beer styles a reason to cheer. 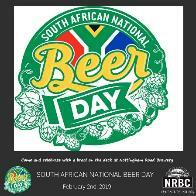 Kicking off 2019’s beer festivities is the annual South African National Beer Day where beer lovers from all over South Africa can look forward to a collection of events, promotions, pairings, specials and mini festivals across the country in praise of the amber nectar. 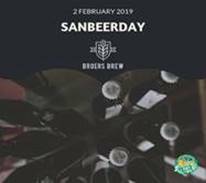 Over 50 events and promotions across all seven provinces across the country celebrated the inaugural #SANBeerDay in 2018. 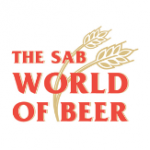 “The support from all the various breweries across SA, big or small was overwhelming we hope to have to have an even bigger support base this year,” said Lucy Corne, #SANBeerDay organiser. 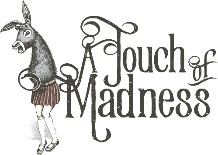 About Join us at A Touch of Madness for National Beer Day! We have 12 local craft beers on tap. There will be DJs all afternoon from 3-7pm. 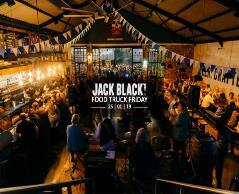 Happy hour special between 5 and 6pm all pints R30! Try our beergarita cocktail jugs to share with your friends in our sunny beer garden. 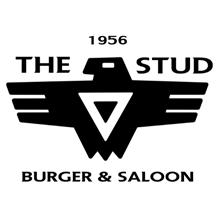 Full menu available: burgers, nachos, ribs and more! 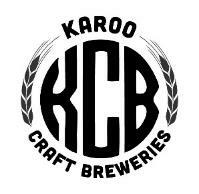 About Come chill with us at Baboon Boards for a Craft Beer party. Live music, craft beer, food, a beer pong tournament and a fire throughout the day will keep those January blues at bay. All proceeds will go towards fixing up the Baboon Boards mini ramp. Free entry for all, bring your mates! Let’s get this ramp up and running again!! 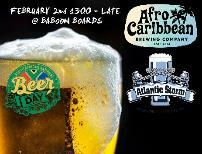 Beer will be supplied by the Afro Caribbean Brewing Co and Atlantic Storm Brewery. Phase 1 – R199 – limited tickets available, get your cheaper tickets ASAP before they are all sold out. About Celebrate South African National Beer Day the proper way with Beerhouse and some of South Africa’s favourite brewers. We are also animal friendly, so feel free to bring your friendly pet along. Dogs, dragons, & hostile cats on leashes please. Where The lawn@Paddagang Restaurant, Church St, Tulbagh. About Come and enjoy an afternoon of good music, good food and of course good beer. Music by Peter Vanne. To eat: Bratwurst@R45, Pulled pork sliders @R50. 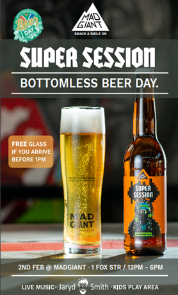 About Cape Brewing Company is celebrating #SANBeerDay with a very special for-one-day-only offer! 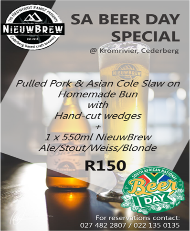 *Please note the following deals will be available at the CBC Brewery (in Paarl) ONLY. 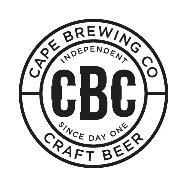 For only R350, you can buy a limited combo consisting of 1 x Case of the CBC Summerfest beer (440 ml), and receive 1 x Case of EITHER the CBC Mandarina Weiss (340 ml) OR the CBC Vanilla Bourbon Porter (340 ml), PLUS a free CBC branded T-shirt! For only R399, you can buy a limited combo consisting of 1 x Case of the CBC Summerfest beer (440 ml), and receive 1 x Case of EITHER the CBC West Coast IPA (340 ml) OR the CBC Imperial IPA (330 ml), PLUS a free CBC branded T-shirt! About We will be opening our taproom on #SANBeerDday for the public to come and taste our beers and enjoy a draught looking over the breath taking Cederberg Mountain Range. PLUS we will be launching our new Crystal Weiss on the day! 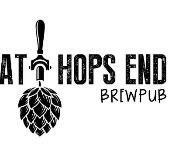 About Devil’s Peak Brewing Co is celebrating the annual South African National Beer Day with a buy one, get one free on Devil’s Peak Lager at Craft Wheat & Hops from? About ALL DAY HAPPY HOUR! #HTG are celebrating the annual South African National Beer Day with a buy one, get one free special! Special runs on the whole amazing range of our Havoc Brew house range. Local en Lekker craft on 40 Tap’s, paired with Smokey meats made at our smoke pit in Hillcrest Quarry. Come hungry and thirsty. 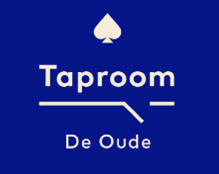 Smoking area, Kiddies playroom and amazing tap room. 3 TV’s showing all sports games on the day. About We are launching our 1st instalment of the 12 beer/month challenge, with a once off brew, IPA, dry-hopped with the juiciest hops we could get our hands on. 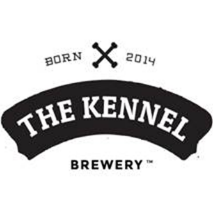 Join us for a pint of the new release beer and enjoy the old favourites with good friends. Let’s make #SANBeerDay 2019 one to remember! About Come and join us to celebrate #SANBeerDay on the farm. Our Apricot Wit beer will be on tap and for one day only (Feb 2nd) it will be available at the special price of ZAR0.00!!! 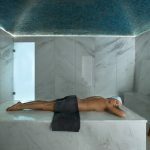 (Max two per person). 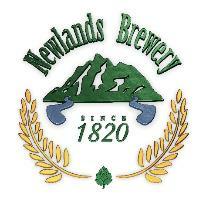 The rest of our beers will also be on sale plus great food, views, kids’ play area. Let’s celebrate beer! About Come and enjoy South African National Beer Day with us celebrating beer and the opening of our new taproom on Mountains Shadows in Paarl. At the moment she doesn’t look like much, but we’ll be ready 2 Feb. “Leberkas Semmel“, German Broetchen with traditional Leberkäse and sweet or hot mustard. Vegetarian option: “Obatzda“, German Pretzel with homemade Obatzda, a traditional German cheese. 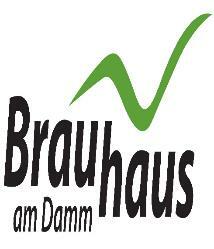 About Various beer tasting stations, beer educational talks and craft beer stands, food stalls and live music! All the top craft beer options available at the largest craft beer bar, called Tap’d @ Mojo Market! About R15 for a Riot session Lager. 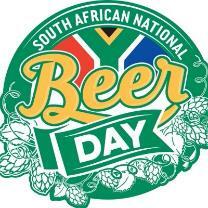 SA NATIONAL BEER DAY! SAVE WATER, DRINK BEER! 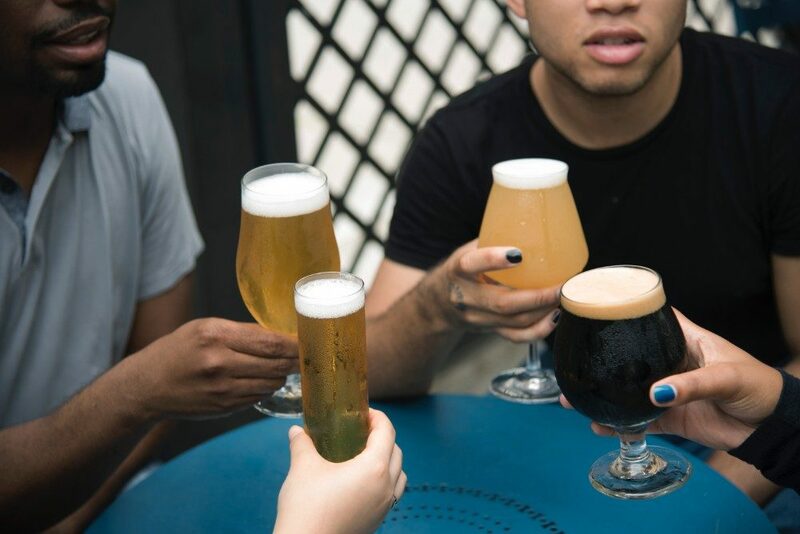 About Happy Hour ALL day to celebrate National Beer Day 2019! 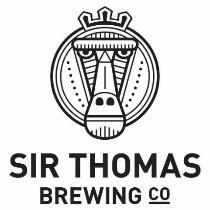 About Join us at Sir Thomas Brewing Co for some world class beer and pizza! 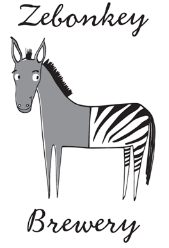 About The Striped Horse Muizenberg and The Striped Horse on Kloof will be offering delicious prego roll with a pint of Striped Horse Light Lager for R100 all day. Come join us and celebrate #SANBeerDay! 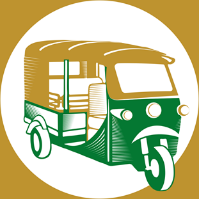 About Tuk Tuk Microbrewery in Franschhoek, will be offering beer lovers the chance to buy any of our Tuk Tuk pints and enjoy the second pint for half price. About Zebonkey celebrates #SANBeerDay with its annual bottle swap! Zebonkey beer will swap any full beer bottle on February 2nd for a tasting of our Zebonkey range. For a bottle of home brew – no matter, if all grain or kit brewed – we will even swap it for 2 tastings. We only swap one bottle per person on that day – and, yes you have to be above the age of 18! Please remember to enjoy beer responsibly. You are welcome to bring family and friends along with. DelVera Farm has plenty to offer! 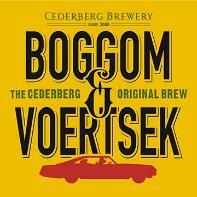 About Join us for a celebration of everything South African including most importantly South African beer! 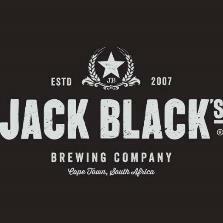 We will be launching our Pina Colada Scream IPA a collaboration with Fierce Beer (Scotland) and Stellenbosch Brewing Co.
We will also be hosting around 5 brewers from breweries around the Cape for a brewer-led tasting session and beer education on our lawns and we hope to touch on over 20 different styles of beers from Lagers and Bocks to Goses and Braggots! Our menu in our Taproom will also feature special SANBeerDay items. 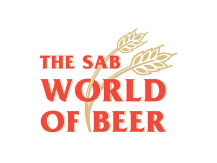 About It’s South Africa’s annual National Beer Day and the SAB World of Beer is offering a discounted beer tour & tasting package at R 170 per person, a buy 2 beers & get 1 free beer special and a food & beer pairing package for R 160 per person. We’ll be hosting a Little Wolf tap takeover for the whole weekend (Feb 1st-3rd), including the LW/Stellies Sorghum Gose on tap for the first time in JHB. Come and celebrate #SANBeerDay with us! 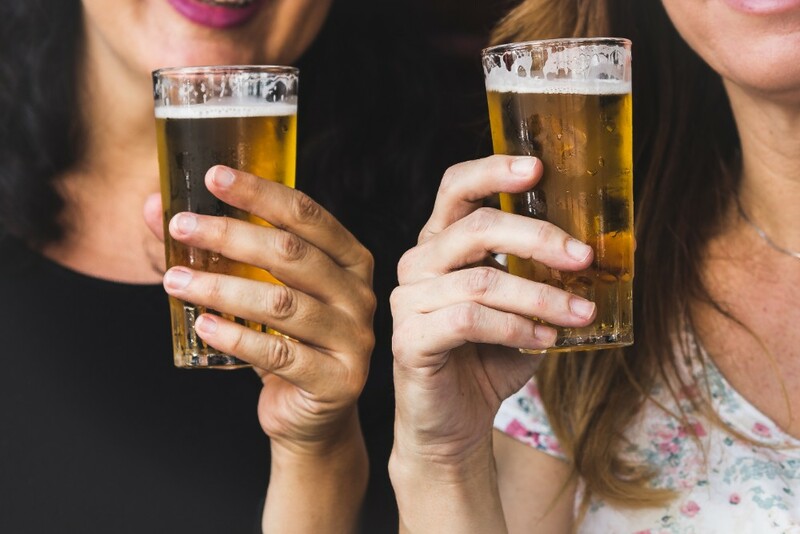 About Devil’s Peak Brewing Co is celebrating the annual South African National Beer Day with a Buy one, get one free on Devil’s Peak Lager at the Dros Krugersdorp. 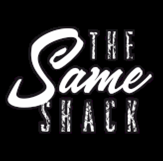 About Devil’s Peak Brewing Co is celebrating the annual South African National Beer Day with a buy one, get one free on Devil’s Peak Lager at Same Shack. Boardwalk Office Park, Solomon Mahlangu Dr.
About Come visit us at Keghouse brewery to celebrate SA National Beer Day. Enjoy all our beers as well as our famous pizza. Ticket price Free entry Special with your food order. 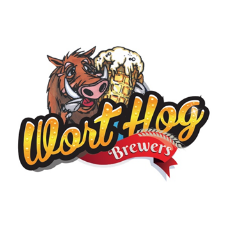 About Mogallywood Brewery is celebrating the annual South African National Beer Day with a buy one, get one free on Roeks Draught beers at the White Dog Taproom from 10am to 10pm with your food order. 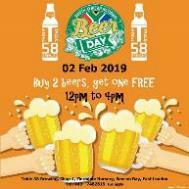 About Brewery is celebrating the annual South African National Beer Day with a buy one, get one free on all Brauhaus draught beers at the brewery from 11am to 10pm. 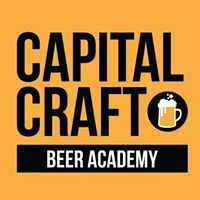 About Come celebrate South African National Beer Day with us for our annual bottomless beer day at Capital Craft Menlo Park and Capital Craft Centurion! R220 will buy you a tag that will enable you to drink all the beer your heart desires. You can choose from any of the local beers we have on tap! And don’t worry, if you are not keen on the bottomless thing, we will still serve our entire menu as usual. 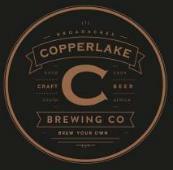 About To celebrate Copper lake brew pubs 4th birthday and national beer day, Copperlake broad-acres is offering one FREE 90-day barrel aged African Imperial Stout to all who use the catch phrase “Happy National Beer Birthday” as well as lots of food specials and live music. About Join Cape Brewing Company in celebrating #SANBeerDay. Buy one get one free, courtesy of the brewery! 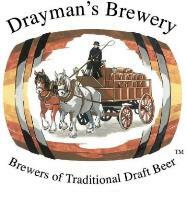 About Drayman’s Brewery is going BIG for SA National Beer Day 2019! Join us on 1 & 2 February for some amazing specials. 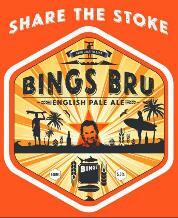 All 1L Beers will be selling for R35/L. About Look out for specials on beer and pizza for #SANBeerDay! 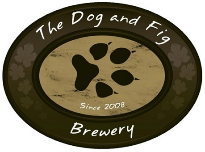 About The Dog and Fig Brewery is celebrating the annual South African National Beer Day with a ‘buy a commemorative glass (#1 of a series of 6) for R120, filled with your favourite craft beer at the brewery from 10am to 6pm. Happy Hour from 4pm to 5 pm, buy a 500ml craft beer and get a 200ml craftie free, excludes Sturdy Stout. BOTTOMLESS BEER ON SA NATIONAL BEER DAY! About On the 2rd of February 2018 we as South Africans celebrate ‘National Beer Day’! To celebrate such an important date in a beer lovers calendar we are bringing you something truly outrageous! Bottomless beer day! 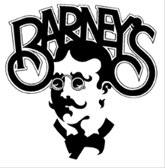 Free glasses available to those who arrive before 13h00 and live music Jaryd Smith. About The Big Beer Day, Brew Day is a celebration of SA National Beer Day with a live demonstration of a Beer brewed using the Easybrew 30 All-in-one All Grain Brewing System by Arsegan. About We are building our new tasting room and will be open in time for the South African National Beer Day on 2 Feb 2019. 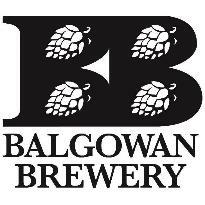 About Balgowan Brewery is opening the doors for tours to beer lovers in celebration of South African National Beer Day 2019. Burgers will be provided by the Caversham Mill Restaurant. 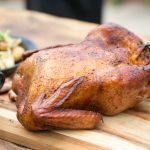 Vegetarians and non-beer lovers are welcome to join! Short self-guided hiking trails are available to the adventurous, and a play jungle-gym to occupy any little ones. 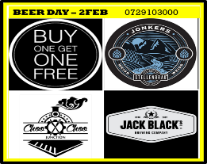 About Devil’s Peak Brewing Co is celebrating the annual South African National Beer Day with a buy one, get one free on Devil’s Peak Lager at Waxy O’Connors from 12pm – while stocks last. 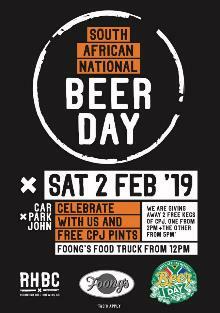 About Celebrate South African National Beer with us at S43 on the 2nd February 2019. Free brewery tour and tasting 13:00 and 14:00 (limited space): learn how we make beer at That Brewing Co.
About Exclusively Craft will be hosting Dockside Brewery and the Brew House, with Brewing demo, and extraordinary beer. Your ticket gets you a pulled pork roll, beer and stout brownie. 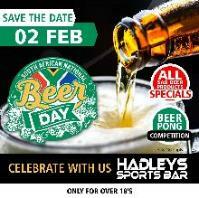 About Celebrate South African National Beer Day at Hadleys Sports Bar. 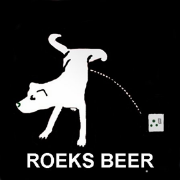 SAB draft beer R25 all day. Join the beer pong competition and win prizes. Starts at 16h00, first come first serve. R20 Entry per person. 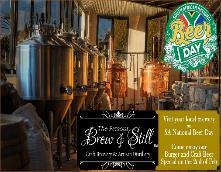 About Join us for SA National beer day at RHBC. We will be giving away 2 free kegs of Car Park John to celebrate. One at 2pm and the other from 5pm. Foongs Food truck will also be with us from 12pm! 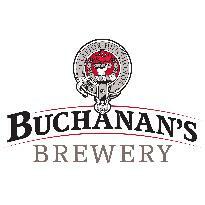 About Visit your local brewery for SA National Beer Day. 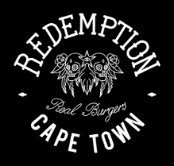 Enjoy our Burger and Craft special for R100. Choose any burger from the menu with any craft of your choice. 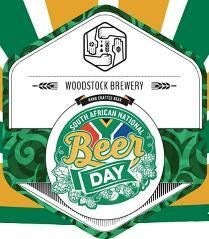 About Join us as we celebrate our annual L’Abri Lughnasadh on South African National Beer Day, Feb 2nd. Three breweries, 10 beers, a hearty buffet lunch and plenty of games and activities. About What’s a better combination than over 12 hours of beer and live music? The Saggy Stone Beer and Music Festival will be taking place for its third year on 9 February 2019. This annual event is hosted on the beautiful Amandalia farm, where the Saggy Stone Brewing Company is situated. 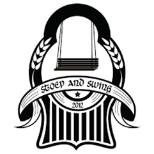 Festival goers can enjoy Saggy Stone’s great selection of core beers, as well as specialty, limited edition Brewers’ Small Batch beers. The festival will be serving a range of Amandalia spirits, including Rum and Cider, Gin and Tonic Lite and Brandy and Ginger Ale. There will be a variety of gourmet food trucks to appeal to all appetites. 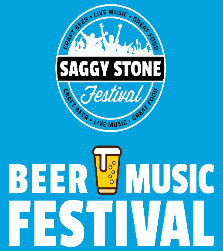 The Saggy Stone Beer and Music Festival appeals to the whole family, with live music starting from 11am and ending after midnight for those who want to dance the night away! About After the unfortunate weather-related postponement of January’s show, the Blues Broers will finally get to rock the Taproom gardens in February! 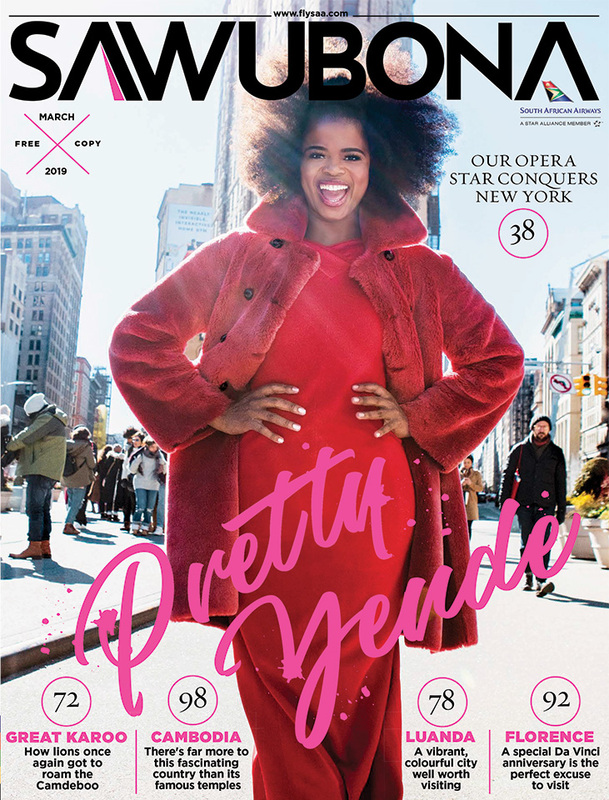 The Stellies Taproom is set to play host to a truly one of a kind musical act! 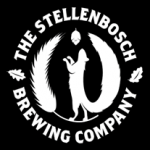 Join us in the gardens for an intimate evening with great Stellies Beers & Joostenberg Wine, as well as some Taproom classic eats. Kindly note that this event is not seated and we encourage you to bring your picnic blankets or camping chairs to enjoy a relaxed, informal evening under the stars in our Taproom gardens. 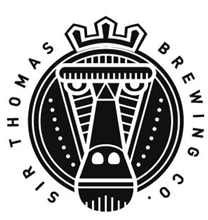 All food and drinks will be available from the Taproom menu on the night. About This is the 8th installment of the sought after show hosted in the middle of Clarens on the village square. 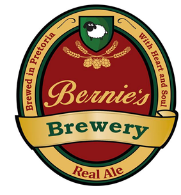 Visitors can enjoy a selection of 24 breweries from around SA and stroll the village in search of artwork, antiques and other local crafts. 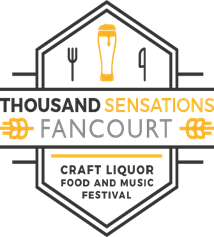 The craft beer festival also features South African music and gourmet food options. About Calling all Home Brewers!! Email us oninfo@richmondhillbrewing.com for more info on how to get started! About A 3-day showcase and tasting extravaganza in March 2019, the Taste & Flavour Show will see over 40 exhibitors of crafted beers, wines and spirits, including a food deli for a complete offering to visitors. 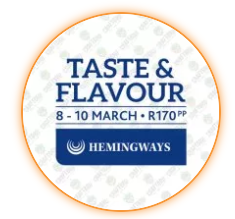 The main focus of the show will be showcasing the range of craft liquor from brewers and distillers throughout South Africa, bringing them together under one umbrella. About It’s the perfect time of year to get your BREW On, as the Summer Beer Festival is around the corner. 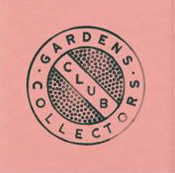 Further details and how to pledge will be sent out early in the new year. Ticket price TBA on Quicket, Facebook and other social media platforms. Save the date – tickets available soon! 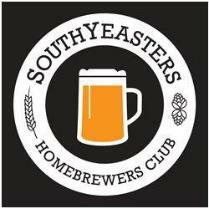 About The annual SouthYeasters Summer Festival is the biggest homebrewers competition in South Africa, with over 50 brewers bringing over 100 beers to taste. 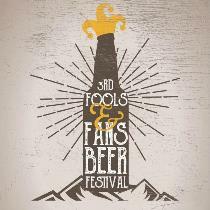 About THE Fools & Fans Beer Festival returns on the 6th April 2019, in Greyton. 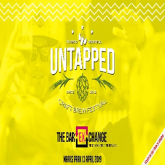 Top South African independent breweries from around the country will converge, and serve up a special festival brew. There will also be music, food stalls and a supervised kiddie’s play area. Interesting, intimate and great fun for the whole family. 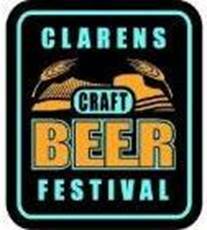 Other events will include a homebrew competition, a bread baking competition and a bottle share. About SA’s biggest Craft Beer & Music Festival. Featuring the alchemists of our country’s finest brews in a theatre of craft brewing excellence. 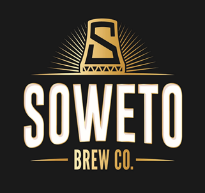 A world of specTAPular brews, ciders and craft distilleries in one platform for you to enjoy to with friends and family along with brilliant SA bands. Tickets are limited, secure your booking now for this not to missed craft brew, music and food affair. 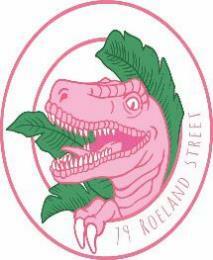 About Join us for the 3rd Annual Craft Festival held in Bloemfontein. 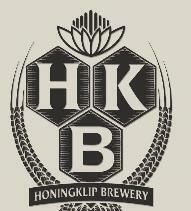 Enjoy the beers from various breweries. Live entertainment and lots of local food stalls to enjoy. Ticket price Special deals available onwww.webtickets.co.za. 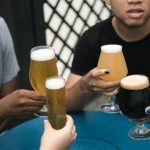 About The monthly food and beer pairings resume in February again – in time for Valentine’s Day. Beer lends itself naturally to being paired with food, and even seasoned beer drinkers will be delighted by the artistic fusion of the two. 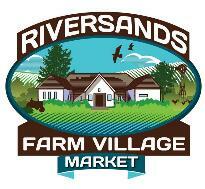 About A farm style market, where young and old can come enjoy a day filled with activities. From good food to craft beer and shopping, there is something to do for all. 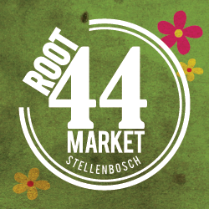 About Good food, delicious drinks, lively tunes and brilliant company – we at ROOT44 know South Africans enjoy nothing more. That’s precisely why we’ve created the perfect all-weather setting where you, friends and family can come together rain or shine. Remember to consume alcohol responsibly. Get a taxi or appoint a designated driver – do not drive home after drinking.